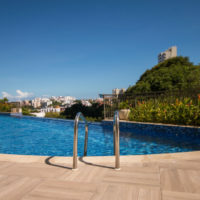 When most people go on vacation, they do not expect to be injured on the resort’s premises, but unfortunately, accidents are called accidents for a reason, and anything from a slippery hotel lobby floor to a poorly maintained sidewalk around the pool can lead to injury and costly damages. If this should happen to you, you need to be prepared for what to do next. At Spencer Morgan Law, our Miami personal injury lawyers deal with dozens of slip and fall and premises liability cases on an annual basis, and though our team always does its best to obtain a beneficial outcome for the victim, we have found that the best outcomes are in large part thanks to the right evidence. This post outlines what you should do if you are ever injured at a Florida resort to enhance your chances of winning your personal injury claim. Even if you do not believe that your injuries warrant medical attention, you should still visit the local hospital or a nearby clinic. Some accidents result in latent injuries that you may want to file a claim for later on. However, if you do not have a medical report of the incident, you may lose your opportunity to file a claim altogether. Hotel managers and owners are not legally obligated to file a report of an incident, which is why you should specifically request one. However, most hotels, resorts, and motels make it protocol for employees to report an incident, especially if someone is claiming to be injured. The worst thing you can do for your personal injury claim is to make false statements. If you want to be taken seriously, and if you want to ensure that your claim is viewed as valid, recount the incident exactly as it happened and do not provide any additional commentary. You may accidentally say something that may be construed as an admission of fault or guilt. Depending on the situation, you may need witness testimony or video footage to back up your claim. For instance, if you claim to have slipped in a sitting puddle of water, the hotel chain could just as easily clean up the spill and say that you tripped over your own feet. A witness statement and/or video footage from a nearby surveillance camera can serve to back your claim and ensure that you are not cheated out of a settlement because of a dishonest hotelier. An experienced attorney thoroughly understands personal injury law and the various theories of negligence. If you were recently injured at a hotel, motel, or resort, reach out to the Miami personal injury attorneys at Spencer Morgan Law for assistance with your case today. We can help you prove liability and ensure that the resort is held liable for damages sustained. Contact our Miami law firm today to schedule your free consultation.